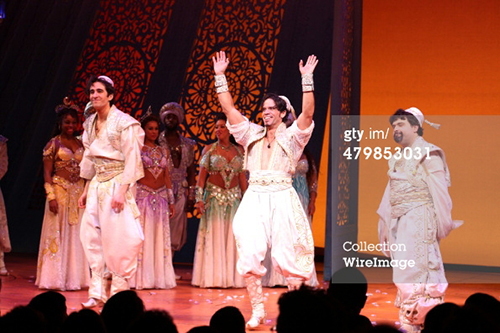 I'm in love with Aladdin, I wish I could see this. They modeled him after young Tom Cruise. I'm not even going to act like I didn't want to lose my virginity to Aladdin. still my #1 disney prince in all these yrs. Right? 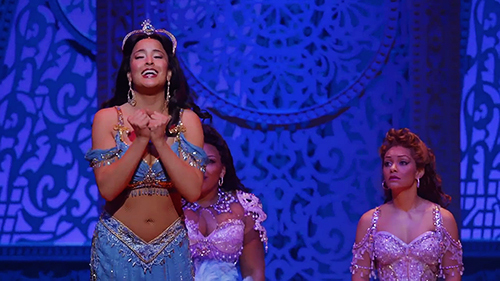 My first thought was "when was 'Whole New World' ever the show-stopper?" Friend Like Me is the scene I would watch on repeat as a child. I agree, Friend Like Me was always the big song, A Whole New World was the nice ballad. It totally, most definitely is. It's coming out in May! not the OP but omgggg less than 2 more months. I've been dying for this soundtrack. no srsly this was one of the times I even remember toronto getting a show first bc I don't go to a lot of shows. I saw this during previews, and I have to recommend it. It was a beautiful, energetic, and spectacular performance. Check it out if you can! 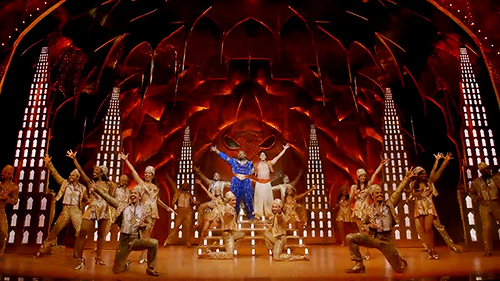 The costumes and the stage design(s) look amazing! 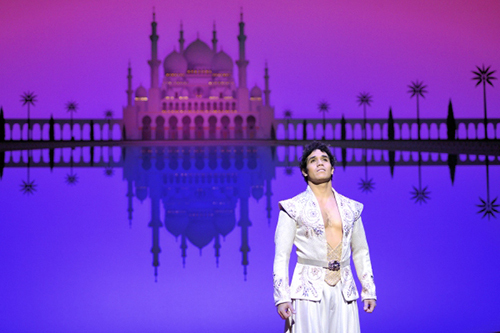 The only set design I didn't like was the city during One Jump Ahead, mainly because Aladdin is jumping around on the buildings and they moved a bit... but maybe they fixed that between previews and opening. thats suppose to be jasmin?? Were you seriously expecting someone who looked like the animated character? She looks nothing like....the animated character? 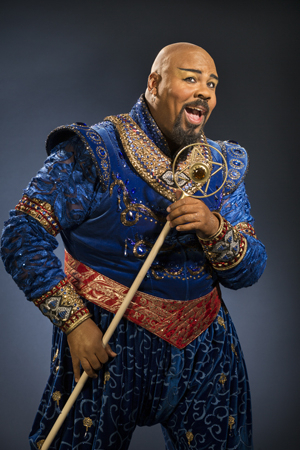 The Genie isn't blue, either. And Abu and Iago don't even exist. Aww, I really want to see this. I really wanna see this! did we go the same night? Same thing happened the night I went as well. I went on November 20th. 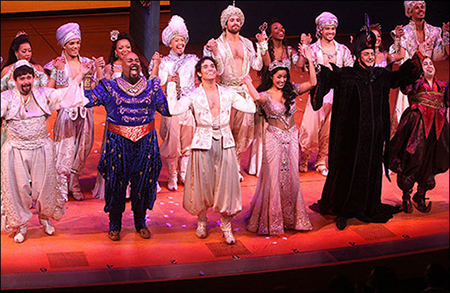 One of the most notable mishaps was after the first act they had trouble lowering the curtain. I am disappointed and sort of disgusted that they didn't hire any Middle Eastern actors. I miss the camels! They brought them out in the opening in Toronto and, a minute or two into the opening, had a line like: "Okay, can we get rid of these awful prop camels now?" Why aren't there any Middle Eastern or South Asian people playing the characters though? Does no one find that problematic?? There are. The articles which state there aren't any Middle Eastern actors are incorrect. Can you elaborate? 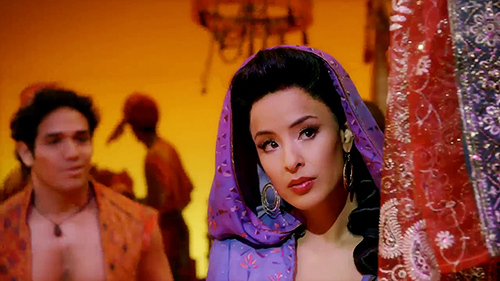 Are Aladdin/Jasmine ME/SA? 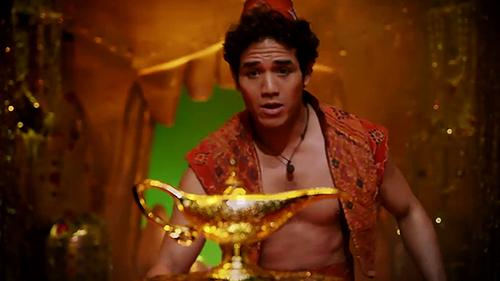 All I know is: that guy makes one hot Aladdin. Ohh I want to see this!